Beautiful Boothbay, Maine is located South of Augusta between Wiscasset and Ocean Point along Highway 27 on the banks of the Damariscotta River near the Atlantic seacoast. There are many fantastic places to stay in this beautiful coastal town and scenic views are numerous. 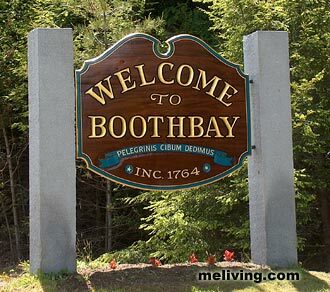 The name Boothbay came from a town in England called Old Boothby. To share any Boothbay, Maine information with us, contact us. You can bring your pet with you Maine. Bring My Pet is the Pet Friendly Lodging site that only features hotels, inns, resorts and vacation rentals that allow pets. Bring your Pet with you to Maine and stay a pet friendly ME Best Western Hotel. Visit Maine with your dog or cat and stay at a sensation Marriott hotel. We found Maine Marriott Pet Friendly rooms and suites in Portland, Bangor, Auburn, Bath and other downeast Maine locations. Marriott members check local rates and specials by following the link below.